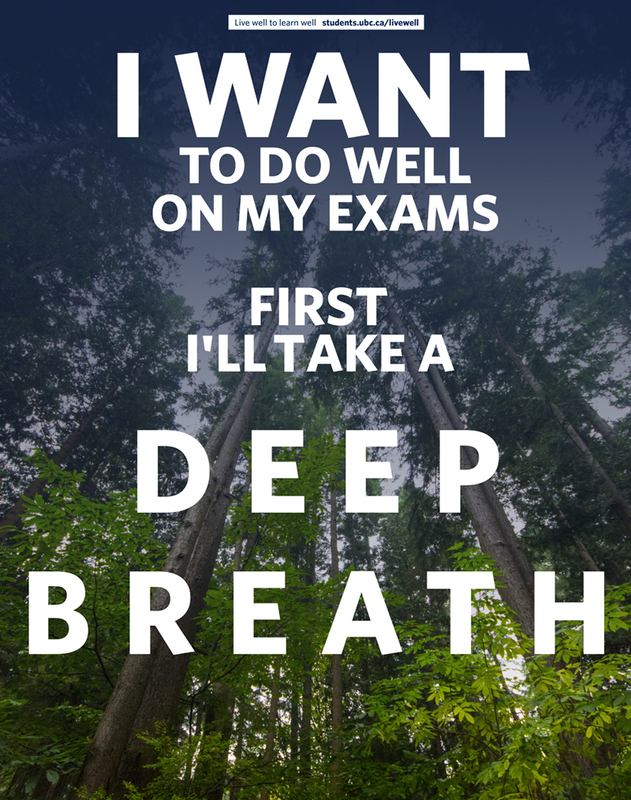 The UBC Student Services Live well campaign runs each November to remind students how important taking time for their health is at exam time. 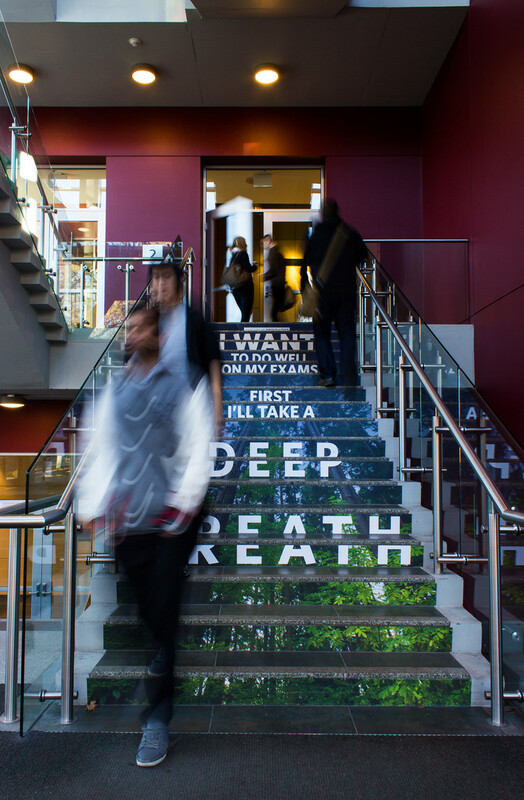 This piece was installed in the library, where students would encounter it during a moment of pre-exam stress. We wanted the piece to have an immediate benefit – even if students don't go to the url to find more health resources, the reminder to take a deep breath in the moment can have a huge positive effect. The piece was installed for three weeks, with traffic of 38,000 students. It generated lots of positive interaction on Facebook and Twitter, such as "saw it and sweet! 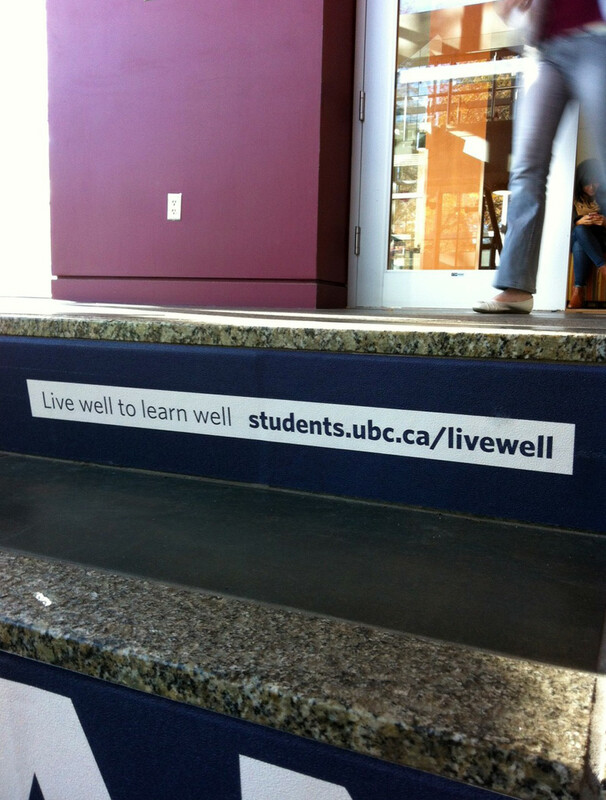 I needed that reminder :D" and "UBC does care :’)"
The stair graphic was installed in the Irving K Barber Library at UBC for a three week period in November 2012, while students were studying for exams. I shot the photo for the graphic in a forested area on campus. The graphic directed students to the Live Well section of the Student Services website, where they could learn more wellness tips for beating exam stress and the relationship between health and their studies.